Ian St John - Raging Bull - LFChistory - Stats galore for Liverpool FC! Motherwell - Hamilton Academicals… First question - first mistake [St John pretends to shoot me with his finger]. Motherwell were the big rival to Hamilton. I was at Motherwell for 5 years. I was playing for Scotland in the Scottish league and under 23-team. I was a high-profile player, getting 16 pounds a week. Got married when I was 20. The club got us an apartment near the ground. So altogether a brilliant start to the improvised interview… in Scottish football terms it was probably the equivalent of confusing Liverpool with Everton… God forbid. There was just a mile from the center of Motherwell to Hamilton. Hamilton would never be a good team even go back to when I was a kid. Motherwell were a big team. My friend, Jimmy Greaves, is the vice president of the Accies. On TV [The Saint and Greavsie Show] we were talking about Liverpool one day and I said 'You'll never walk alone' and Greavsie said: 'Unless you're a Hamilton Accies fan.' The Hamilton Accies wrote to us and said 'Why don't you come up?' So we took the car and went up and did a great piece on Hamilton Accies. Gave them great coverage. And then they said: 'We'll make Jimmy a vice president.' I couldn't because of my links with Motherwell. So he's the vice president. That was all fun and that's the Accies. 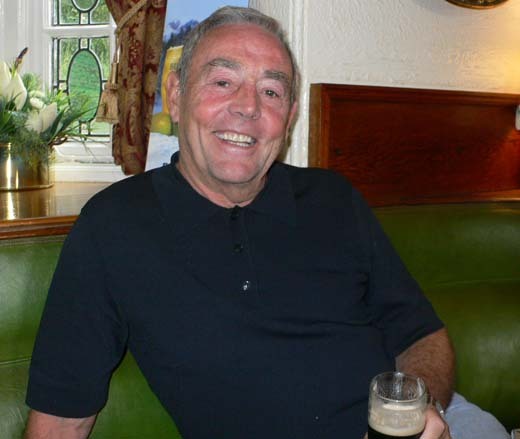 "Eddie Boot and I drove up through the moors one night, up to Kendal and on to Falkirk to see Ron Yeats and Ian St John, who were playing against each other in a Scotland versus Scottish Second Division Select match. Ronnie was in the Second Division with Dundee United. I saw him before the game and I saw him on the field. The quickness and the size of him! St John played for Scotland. He was a box of tricks, punchy and strong. What a battle they had! I said to Eddie, 'Has it not been worthwhile to come up here and see this?' 'Oh, dear me, yes', said Eddie. Yeats and St John were the players Huddersfield needed, but they couldn't afford to buy them. To some, it was an uninteresting game played, as I have said, on a small ground. For me, as Liverpool's manager, it was the most important one I had ever attended as spectator." Shankly arrived at Liverpool in December 1959 finishing in third place in his first two seasons. Shanks needed a strong centre half and a centre forward and he had not forgot the two Scotsmen he had watched while he was at Huddersfield. "One Sunday morning in 1961 the Sunday Post had headline "St John wants to go"," said Shankly. "I was on the phone straight away and we were in Motherwell on the Monday night. Charlie Mitten came on the scene from Newcastle and tried to sign him, but we arranged the fee of £37,500 on the Monday night and signed St John the next day. I said to Mr. Sawyer [Eric Sawyer, Liverpool's financial director], 'He's not just a good centre forward, he's the only centre forward in the game.'" Ian St John signed for Liverpool on the 2nd May 1961 and made an immediate impact by scoring a hat-trick on his Liverpool debut vs Everton in a 3-4 defeat in the Liverpool Senior Cup final at Goodison Park. Ron Yeats followed his fellow countryman south of the border in July. The two Scots soon formed a friendship that is still alive and well today. "We were in Spain on a club holiday and one or two lads that were passing when we were having a drink said a few nasty remarks which I don’t mind when I am on the field, but I am not going to do it when I am off the field. There was a few punches and let’s put it this way... they didn’t come off best." I lost a good watch that night. My watch came off. Pays not to have trouble. I played in a guy's benefit down at Chelsea. We all got a watch that was lovely. I was quite chuffed. Ronnie was very slow to ignite, very slow burner. It took a lot for him to get going. But if somebody really got him going... he's a big man and he was very strong and fit in those days. Jesus Christ. When trouble started you didn't want to be in his way. Even good friends can turn against each other in the heat of the moment. 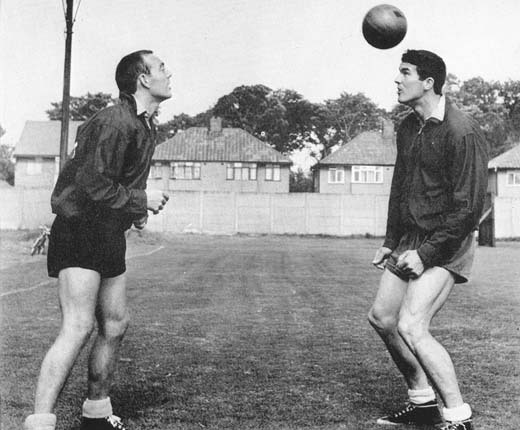 St John reveals he and Ron Yeats once were at odds in training. You do things in the heat of the moment. If you'd sit and think about it for 5 minutes, 'go and pick a fight with that big guy' you wouldn't do that, would you? Ronnie and I had been pals all our lives and since then we are still pals. Our team, the 60's team was a great team. There weren't a bad guy in it. Very rarely trouble. Dressing rooms are great places. They are full of fun and laughter, banter and pisstaking. Despite the harmony at the club the Scots had to stick together when they first arrived at Liverpool as they were viewed as outsiders by the locals. When Ron and I came down, there was a Liverpool mafia. Most clubs have a lot of players from the local town. They were resenting the fact the club was going outside their circle. You could understand that if you were in their position. I think they resented that you were coming down and getting a bit of glamour. We got more publicity than them. When I signed, at the end of the season we went to Czechoslovakia on a tour. There were Ronnie and myself, Bert Slater the goalkeeper and Leishman who were Scotsmen. All this stuff had gone on at training. We had a little bit of altercation there with Liverpool and the Scots. Ronnie Moran was involved in it as well. Jimmy Melia and I had a fall-out. We trained on a beach on the bad winter of '63. It snowed and with frost. It was like Switzerland. It was frozen for six weeks. The only way we could train was to go to the beach in Formby. There's a big tide that comes in and then the tide goes out. It was flat as a pancake and we'd go there and do ball work on the sand. Melia and I had a bit of a disagreement in a five-a-side game. I said: 'When we get back to Anfield, we'll sort it out.' We got back to Anfield. 'Come on down, to the gym' and he wouldn't come down. It was finished then. I'm making out as I was punching everybody. I loved the boxing and it stood me in good stead because I wasn't frightened in the games no matter how big they were, centre-halves. I wasn't frightened of anybody. I got sent off at Coventry. I got sent off at Fulham. I had a quick temper which was a bad thing. The fact I wasn't frightened of anybody was a good thing. From Brian Reade's interview with Shankly in 1975: "My first great buy. St John and Ronnie Yeats started it all. Clever, canny, bags of skill, made things happen. Liked a scrap too. Jesus, did he like a scrap. I sometimes wanted to tie his fists behind his back. Great player though. Gave you everything on the pitch. Mind you, a lazy bugger at training. He hated it. Always trying to pull one on us. But what a player."